Plan a night on the town that you both are excited to get a little dressed up for. After dinner, lead her to a private area of the restaurant or even back at home. Enlist the help of one or two of your closest friends to set everything up to your liking while you are at dinner. When she sees the thought you put into making this moment special, she will be gleaming. 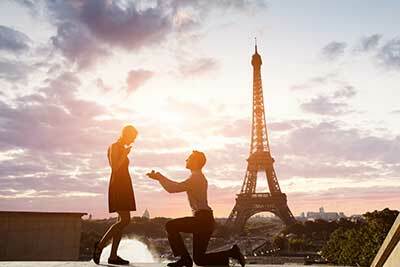 If you both share that endless desire to travel the world, begin your next trip abroad with a proposal in a memorable location. Whether it be in a gondola in Venice, in front of a Turkish mosque, or in the ever-romantic city of Paris—choose a landmark beautiful and meaningful. Ensure you can capture the moment and your surroundings by hiring a photographer, since it’s unlikely you will have a friend to help you out in a foreign country. After popping the question, you can spend the rest of your trip celebrating together and make an engagement holiday out of it. Years later, you can visit and remember how special the city is to your relationship. Beach proposals have always been a classic option for a reason. The serene ocean with waves brushing the shoreline makes for the perfect setting. Have a few of your friends help you with this one, writing into the sand in large letters “Marry Me?”, with rose petals scattered around. Have one of her friends be your accomplice and lead her to the beach where she will find you waiting. A vineyard can make a beautiful setting for a proposal —whether it be local or a weekend trip just a few hours away. If she enjoys a glass of robust Valpolicella or Pinot Noir, she is sure to be gleaming all day. Set up a private tour of the vineyard letting the owner or manager know your plans. Pop the question when walking together through the endless rows of the vines around sunset. Let your surroundings set your proposal apart and choose a building gleaming with history. Whether it be the steps to an old bank, a historical landmark, or an empty building in your city with wood beam ceiling details and rustic concrete floors—this will be your foundation. From there, add soft details such as sheer white draped fabrics, candles, and maybe even some keepsake photos representing your journey together. Then on what seems to be an ordinary date night, suggest you go for a walk just around the corner to this special location. Have a friend help you by making sure everything is set up for your arrival. It is bound to be a meaningful and private setting. If your soon to be fiancé loves the holidays, this would be the perfect opportunity to pop the question. It’s likely that your family will be in town so you can celebrate afterwards with everyone. 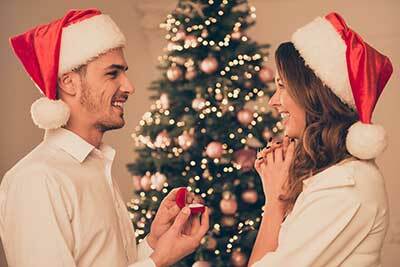 An intimate way to propose is during the night you plan to decorate your Christmas tree. Place an ornament asking her to marry you inside a box, but among your other ornaments ahead of time. That night while the tree lights are on and soft music is playing, pour two glasses of warming red wines to set the tone. When she reaches for the next ornament, she will open the box and be completely speechless when you get down on one knee and ask her to marry you. For the One Passionate About Their City. A city skyline can make a stunning as well as meaningful backdrop for engagement photos. You’ll want to hire a photographer to sneak some photos of this setting. Do a little research of restaurants just outside of the center of your city—with rooftop access. You may need to request special access for the occasion, which can be arranged. The best moment to bring her up there will be just before the sun sets, otherwise it will be difficult to capture both of you as well as the skyline. Perhaps she has always had a passion for novels and poetry. 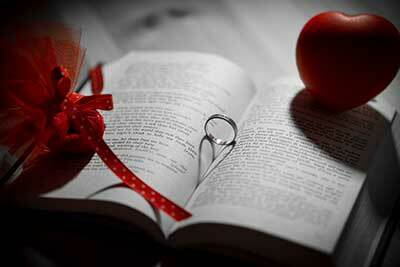 Make her favorite novel the centerfold of your proposal. Buy a copy of the novel and cut out a hole in the center, creating a nest for the ring. You may choose to give it to her when the moment feels right, whether it be a planned time or spontaneous. Incorporate activities you and your beloved enjoy doing together, such as rock climbing, hiking, or even bungee jumping. This will allow you to catch them off guard as well since it is something you enjoy doing regularly. You may choose to create a more intimate setting by incorporating soft lighting, candles, or rose petals around. Enlist the help of man’s best friend—your beloved pet and a huge part of your family. Create or buy a lightweight sign to loosely drape around your dog’s collar saying something along the lines of “Will you marry my dad?”. 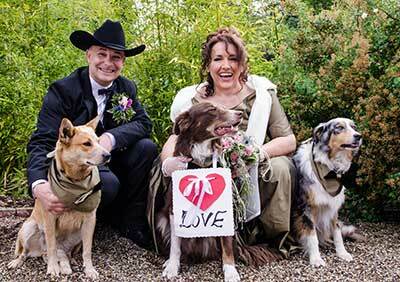 Your soon to be fiance will surely be excited that your furry friend is a part of the special moment. If you both have a passion for boating, proposing at sea would be a great opportunity. Whether it is yours or if you charter a boat for the evening, it’s bound to be romantic and personal time away from the hustle and bustle. Plan to bring some chilled champagne and light snacks on board as well…and don’t forget the champagne glasses. You’ll be eager to celebrate! Plan a scavenger hunt taking her down memory lane ending with a proposal in a beautiful setting. At each location she will be led to, have her closest family and friends holding the next clue. The locations could be anything meaningful—from where you had your first date, your favorite restaurant, and so on. 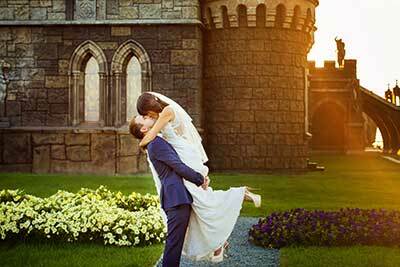 In the end, lead her to a romantic location where you are waiting ready to propose, with all her friends and family from along the way there to celebrate. Now that you have some inspiration to build off of regarding romantic proposal ideas, you are ready to get the engagement ring that will be the focal point when you pop the question. In addition to an engagement ring, don't forget, you will need wedding bands and bridal party gifts, Mikimoto Pearl Stud Earrings for the ladies and a William Henry Money Clip for the guys for example. This is sure to make lasting memories while sharing your magical day with your friends and family.